2. 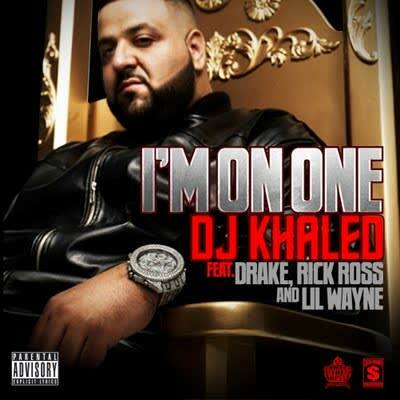 DJ Khaled f/ Drake, Rick Ross & Lil Wayne "I'm On One"
Like DJ Khaled's previous bangers, "I'm On One" looks like a paint-by-numbers hit on paper. Featuring three of the most important rappers currently making music, the song needed only to be made for it to find success. But it was much more than that. Starting with a beat by Toronto-based producers T-Minus, Nikhil S, and 40 that brimmed with frenetic energy before bottoming out, the three heavyweights came through and crushed the buildings. Ross did his usual tortured view-from-the-top bit with the right amount of heft, while Weezy did his detached amusement thing. But it was Drake who made the song his own. Between the two-tier chorus sprinkled with Bay Area slang and the opening verse that served as a warning shot to any competitors, "I'm On One" did even more for Drizzy than his album's official first single.